Workers install a 40-ton evaporator unit inside the Effluent Management Facility. Some recent heavy lifts are helping the Effluent Management Facility (EMF) continue to take shape. 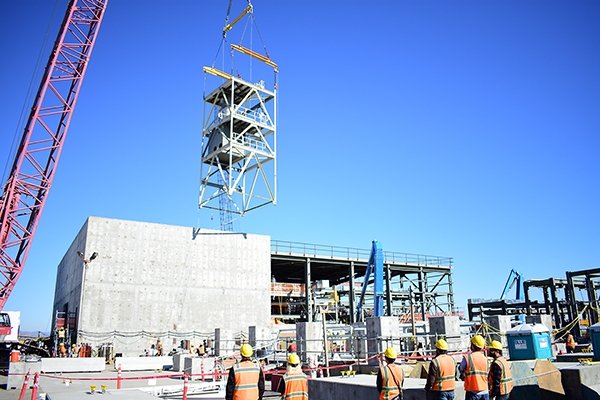 Workers used a heavy lift crane to safely install the evaporator unit and two structural steel roof modules – each weighing more than 40 tons. The placements were key activities toward completing construction of the final Balance of Facilities (BOF) support building required to deliver the Department of Energy’s (DOE) direct feed low-activity waste vitrification approach. The evaporator unit is a 45-ton tower that includes the evaporator vessel, associated shielding plate, and steel structural support. The assembled unit measures 45-feet tall and 20-feet wide. The evaporator is the heart of EMF and allows the vitrification plant to operate efficiently by removing excess water while sending the remaining concentrated liquid back into the vitrification process. The C5 roof module weighs 45 tons, measures 67-feet by 63-feet, and includes more than 500 feet of pre-installed fire protection pipes. The C3 module is 40 tons, 61-feet by 68-feet, and includes more than 600 feet of piping. Workers constructed the roof modules and pre-installed the piping at ground level to reduce the amount of work performed at heights inside the building. Installing the roof modules provides overhead protection for workers and building systems during the winter months. Read more about this important progress at http://bit.ly/EMFheavylifts. An employee inspects electrical control equipment in the Chiller Compressor Building. 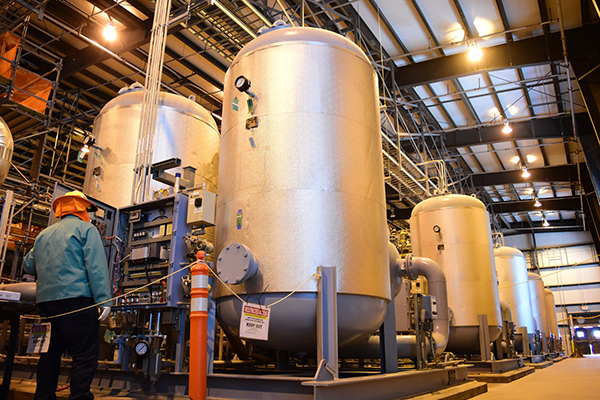 The Hanford Vit Plant recently turned over four more utility buildings that are part of the Balance of Facilities (BOF) for startup and testing. 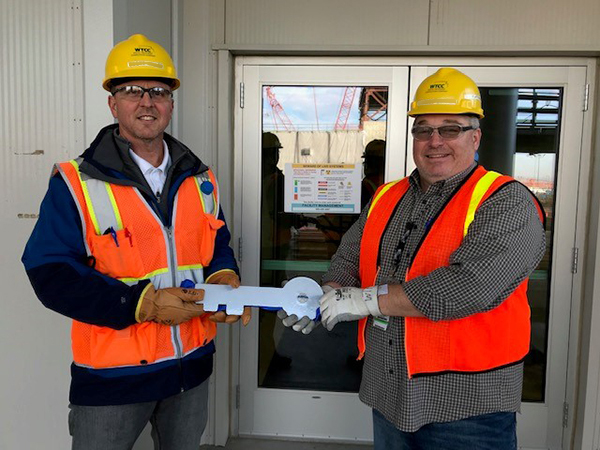 The Vit Plant continues to transition from construction to startup and commissioning, supporting the Department of Energy’s (DOE’s) plan to treat tank waste at the Hanford Site through the Direct Feed Low-Activity Waste (DFLAW) approach by 2023. The Anhydrous Ammonia Facility, Glass Former Storage Facility, Chiller Compressor Building, and Steam Plant Building are now in the startup phase, where they are verified and tested as complete and in safe working order. The startup phases for the facilities are scheduled for completion in 2019. After startup, systems will undergo a commissioning phase to ensure they are ready to support future plant operations. BOF contains a total of 56 systems, including electrical power distribution, backup power, water purification, compressed air, steam, communication and control, and fire water systems. Of the 56 systems, 27 have successfully completed startup and testing and have transitioned to the commissioning phase; 24 are in the startup phase; and the final five are nearing turnover from construction to startup. Read more about this progress at http://bit.ly/fourutility. Employees, together with Bechtel and AECOM, donated more than $800,000 to charitable organizations and programs in the Tri-Cities community in 2018. Employee donations included nearly $300,000 to the United Way, $12,000 to Toys for Tots, and $15,000 to Second Harvest. 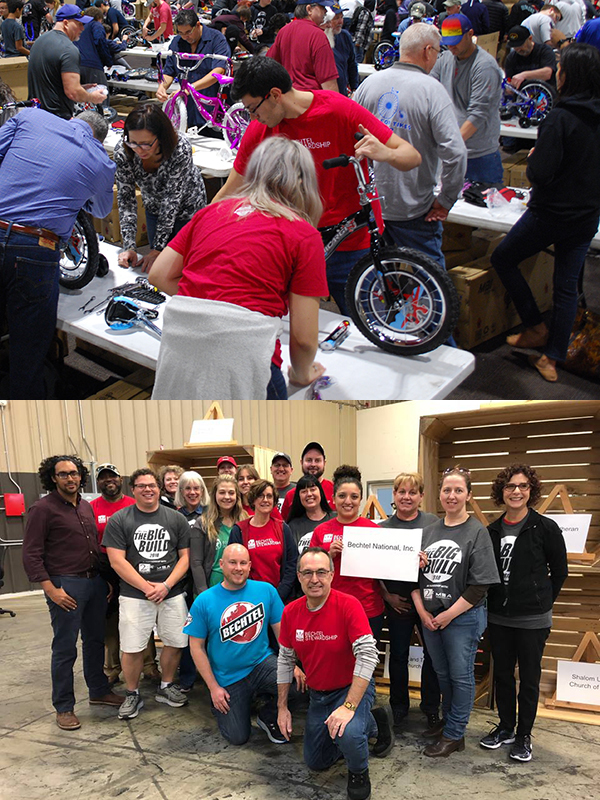 Vit Plant employees also supported Junior Achievement, the Giving Tree Program, and the Local 598 pipefitters’ Bikes for Tikes campaign. Donations include $450,000 in corporate contributions from Bechtel and AECOM. Vit Plant employees gave their time too, logging thousands of volunteer hours throughout the community. They taught Junior Achievement classes, participated in DiscoverE and STEM programs, sorted food for Second Harvest, and assembled bikes for Bikes for Tikes. 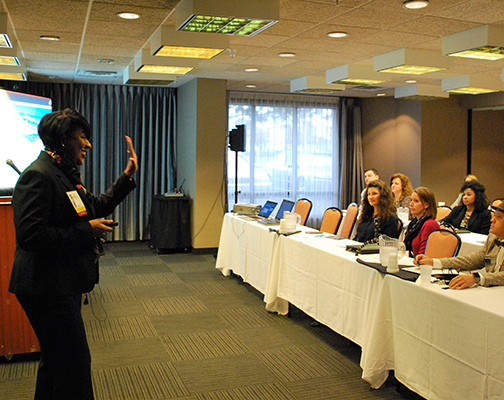 Lisa Armstrong served as a special guest speaker at the Tri-Cities Diversity Summit. Lisa, Bechtel's Human Resources manager at the Vit Plant, shared her insights and perspectives on how organizations can overcome ‘Unconscious Bias,’ which can limit leadership effectiveness, team performance, and ultimate business success. Bechtel was a proud corporate sponsor of the Summit and hosted a booth for small and local businesses as well as job seekers to learn more about the Vit Plant. 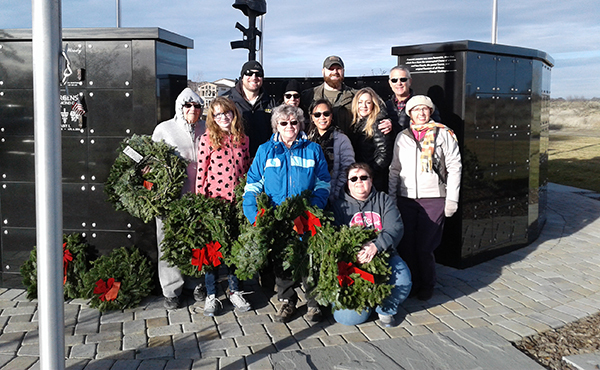 Bechtel employees participated in Wreaths Across America in December, helping lay more than 400 wreaths at the graves of veterans who have passed. Volunteers and Bechtel's local chapter of BSERV (Bechtel Forum for Service Veterans, Reservists, and Friends of the Military) spent the morning honoring them. The Vit Plant manages more than 25,000 requirements to which it must comply. 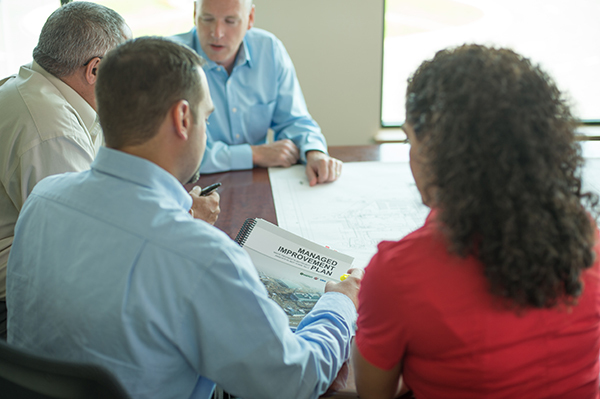 These include state and federal laws, DOE directives, contract requirements and state permits. The Vit Plant team handed over the Analytical Laboratory area to the Plant Management organization recently, allowing next steps toward commissioning to take place. The accomplishment was signified by handing over the building "key" from the Startup group to Commissioning. The Lab will provide analytical services to support the DFLAW mission and confirm that all glass produced by the LAW Facility meets regulatory requirements and standards. Approximately 3,000 samples per year will be managed within the Lab for Direct Feed Low-Activity Waste. 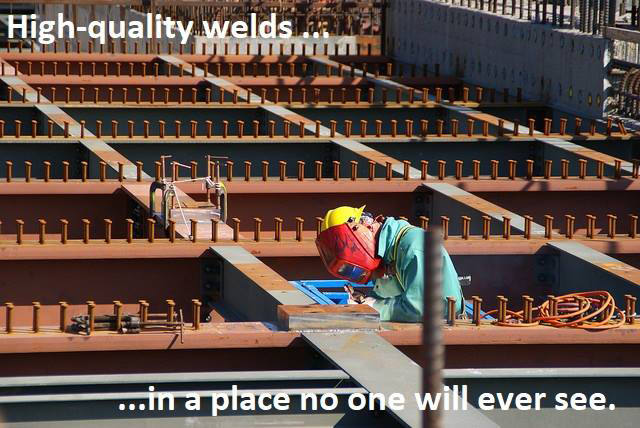 All welds done at the Vit Plant must meet strict standards to ensure the plant can safely operate yet many are never seen by anyone besides them and the weld inspectors. In this photo, a worker welds steel beams with concrete anchor studs. Copyright © January 2019 Bechtel National, Inc., All rights reserved.